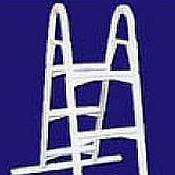 Confer Plastics has been manufacturing all-plastic pool ladders since the early-1970s. This has positioned them as the industry leader. We consistently offer the most varied, most affordable, most durable and - above all - safest options for getting in and out of your swimming pool. 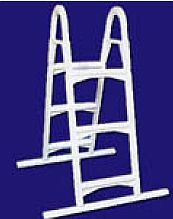 This A-Frame Replacement Ladder is perfect for 36" Splasher, Bestway, and Intex Metal Frame and Inflatable Pools. It is much sturdier and more rugged than the ladders that come with these type pools.